Protect your bag’s contents while you're on the move with the brown HP Executive Top Load, which has a lockable, double-teeth zippered notebook compartment, secure RFID pocket to safeguard your ID, and a discrete pocket for an optional tracking device. Keep track of your bag and belongings with an optional tracking device, which fits neatly into a discrete pocket and enables device tracking from your phone through a Bluetooth® connection. Carry your notebook up to 15.6" diagonal, tablet, phone, papers and more with a padded compartment and plenty of pockets. The top zip closure and exterior pocket give you easy access to the items you use most. Throw the bag across your chest to keep your hands free, or carry by hand with the double handles. Commuting and traveling are easier than ever with a luggage pass-through that fits over the handle of most rolling suitcases. 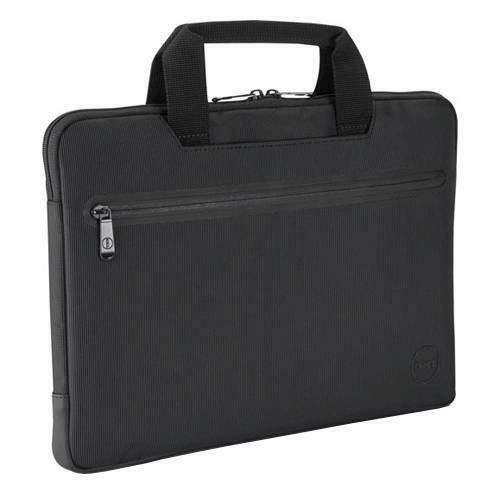 The Dell Professional Sleeve 13 protects your 13" laptop wherever your busy day takes you. The professionally-stylish heather gray exterior is also water resistant to protect your laptop from the weather. Slip your 13" laptop into the stylish Dell Professional Sleeve 13 to protect your everyday essentials and electronics wherever your busy day takes you. The professionally chic heather dark gray exterior and plush-lined interior protect your laptop from scratches or damage. The sleeve is lightweight and comfortable to carry around with handles that allow you to grab and go. Or you can go hands-free by using the detachable, adjustable shoulder strap. The heather gray exterior is water resistant to prevent water damage as you go about your day. Plush French blue lining keeps your laptop snug and secure inside the sleeve. 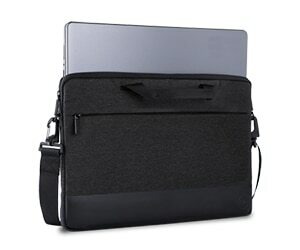 The stylish Dell Slipcase will become a dependable accessory for your Dell Inspiron notebook or ultrabook. The sturdy design keeps your laptop safe, and the sleek and lightweight design makes it easy to carry. The outer front pocket provides additional storage space to store your personal belongings and accessories. The Dell Slipcase is an ideal solution for frequent travellers. 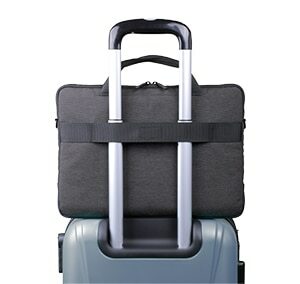 The practical sleeve allows the case to be pulled on top of a suitcase and facilitates travel. The Dell 14-inch Slipcase keeps your system protected, while the slim, lightweight design is easy to carry. The exterior of the case features a weather-resistant nylon and non-slip bottom for added stability. A quick-access pocket provides additional storage for your phone, keys and other small accessories. Retractable handles add versatility and allow you to carry the case anywhere you go. It is designed specifically for 15-inch Latitude Ultrabooks and Notebooks. Transport your laptop, tablet and accessories safely and securely with the Dell Essential Briefcase-15. 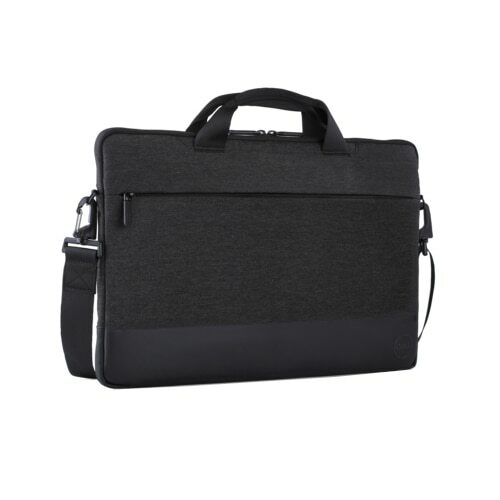 Constructed of lightweight, weather-resistant materials, the briefcase can fit most laptops with up to 15.6” screens. Comfortably fit your tablet, files, documents and other necessities in the large storage compartment. 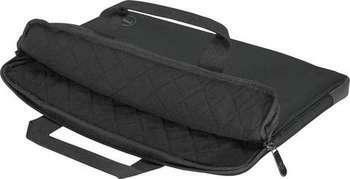 The briefcase features a comfortable shoulder strap that is easily adjustable for a customized fit. Classic, multi-compartment briefcase keeps your laptop, tablet and accessories protected and organized. Transport your laptop, tablet and accessories safely and securely with the Dell Urban Briefcase-15. Constructed of lightweight, durable materials, the briefcase can fit Dell laptops with up to 15.6” screens. Comfortably fit your tablet within the dedicated tablet compartment and files documents and other necessities in the large storage compartment. There are also smaller outer pockets that provide easy access to your various accessories. Adjust the padded shoulder strap for a customized fit, or you can easily attach your briefcase to rolling luggage for easy travel.